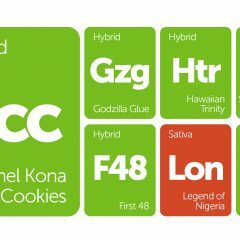 New strains have just been added to the Leafly strain database, and if you're the type of person who appreciates flavor, we suggest you bee line it to one of the dispensaries/shops listed below. Lemon Marmalade, Lemon Alien Dawg, Citrix, Gelato…we've got your fruity fix covered. 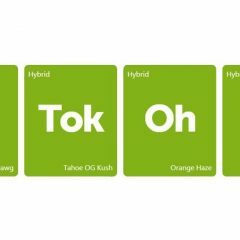 Now go forth and leave some strain reviews for all the ones you've already experienced! Citrix is a hybrid cannabis strain that draws its genetics from a flavorful Grapefruit mother and a resinous LA Confidential male. Named for its intense orange aroma, Citrix entices the senses before drawing you into its active, clear-headed euphoria. If Citrix makes it into your garden, the telltale signs of a good phenotype include a pungent aroma, disease resistance, heavy yields, rapid vegetative growth, and a dense bud structure. DelaHaze by Paradise Seeds is a 70% sativa strain bred from Mango Haze and California Lemon Skunk genetics. To the delight of commercial growers, DelaHaze has the energetic effect profile of a Haze sativa while still offering sizeable yields and a moderate flowering time. 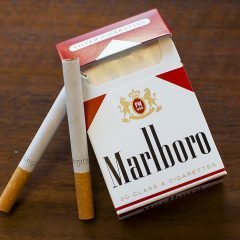 Mango and citrus notes express themselves loudly and bring a sweet overtone to the strain's earthy, spicy aroma. Staying true to its Haze genetics, this sativa delivers uplifting cerebral energy that fuels creativity, focus, and happiness, and then tapers into calm relaxation in time. Gelato is another tantalizing hybrid cannabis strain from Cookie Fam Genetics, following in the footsteps of its parents Sunset Sherbet and Thin Mint GSC (f.k.a Girl Scout Cookies). This Bay Area, California native gets its name from the fruity, dessert-like aroma, a common genetic thread among the Cookie family. Her buds tend to bloom in dark purple hues illuminated by fiery orange hairs and a shining white coat of crystal resin. Novice consumers may want to approach this THC powerhouse with caution, but those armed with a high tolerance will delight in Gelato’s heavy-handed euphoria. Physical relaxation comes on strong, but many find themselves still mentally agile enough to stay productive and creative when enjoying Gelato during the day. Lemon Alien Dawg comes from Alien Genetics, who crossbred an Alien Dawg female with Lemon Kush to create this pungent hybrid cannabis strain. Large chunky buds radiate with sweet and sour fruity notes dominated by the zesty scent of lemon. Leaning slightly to the indica side of the genetic spectrum, Lemon Alien Dawg lets your body sink into deep relaxation while the mind floats away to happy escapes. Lemon Marmalade is potent hybrid from Washington State, bred by Platinum Extracts. The strain was developed by crossing Deadhead OG with Cookie Dough, a select phenotype of GSC (f.k.a Girl Scout Cookies). 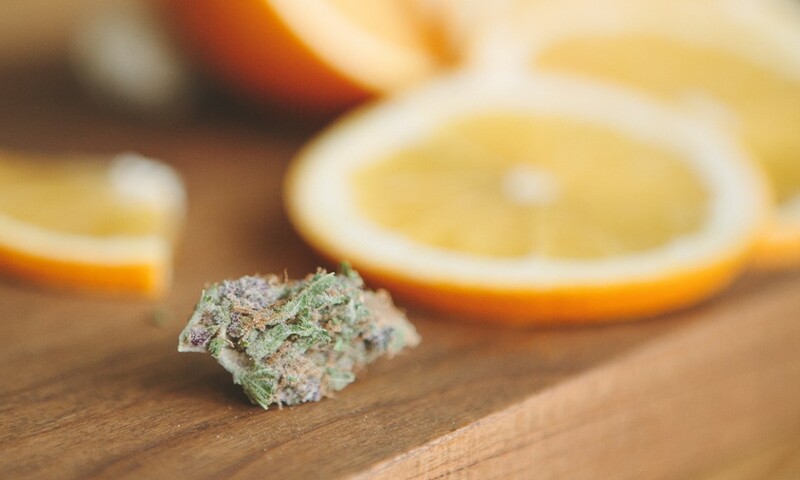 Caked with trichomes and radiating citrus and diesel fumes, Lemon Marmalade creates a complex flavor mix of lemon and piney Kush with subtle fruit undertones. Lemon Marmalade took home the prize for Best BHO – THC at the 2015 DOPE Cup in Seattle and rumor has it the flower has tested upwards of 30% THC. The effects from Lemon Marmalade come on quick with a euphoric burst of heady energy that quickly levels off into a more relaxing full-bodied experience.